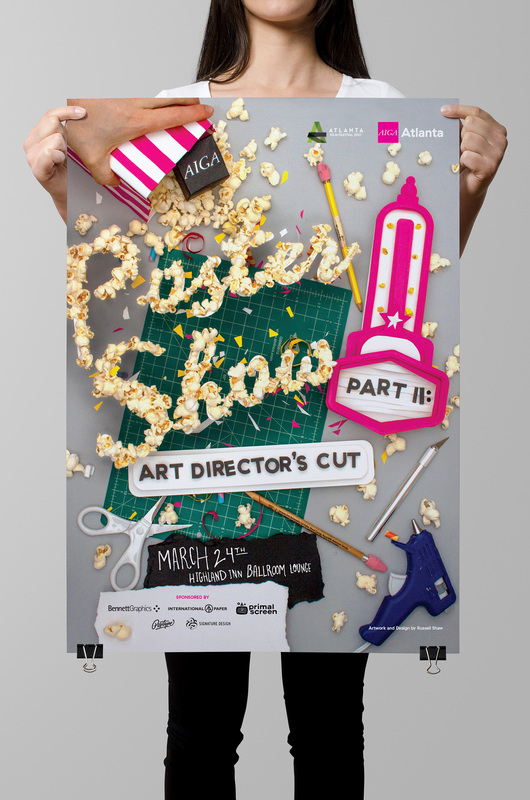 Russell Shaw is a brand designer and art director based in San Francisco, CA, USA. 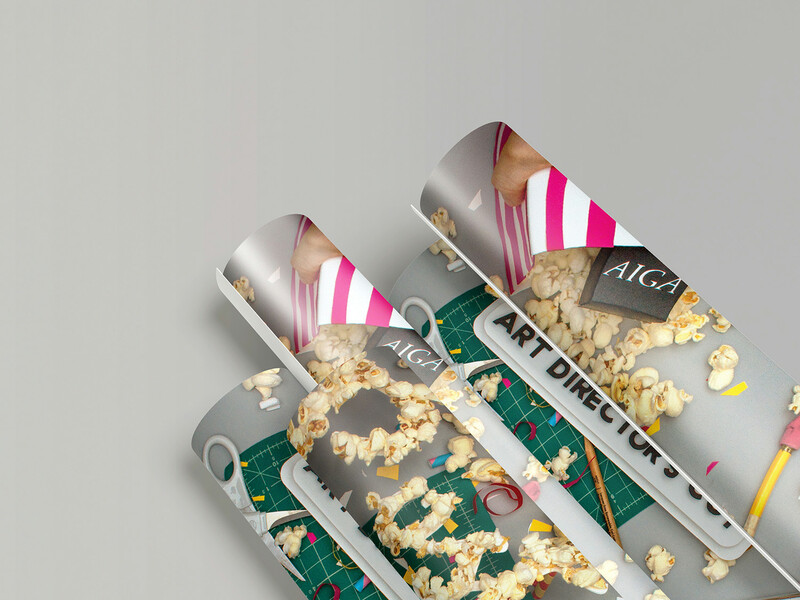 He works mainly in graphic design, branding and illustration; for more of his work please check out his Behance. 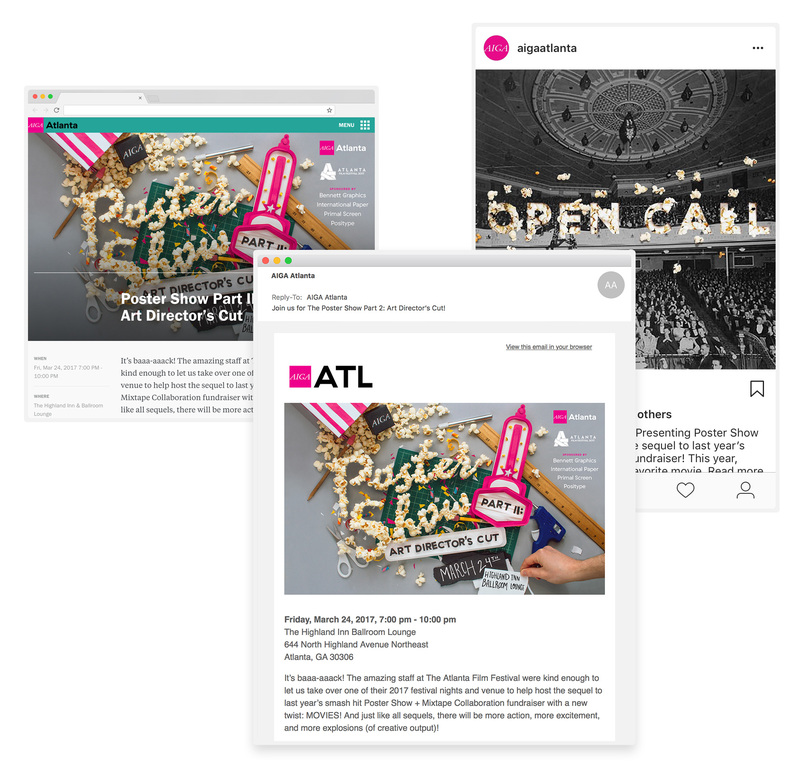 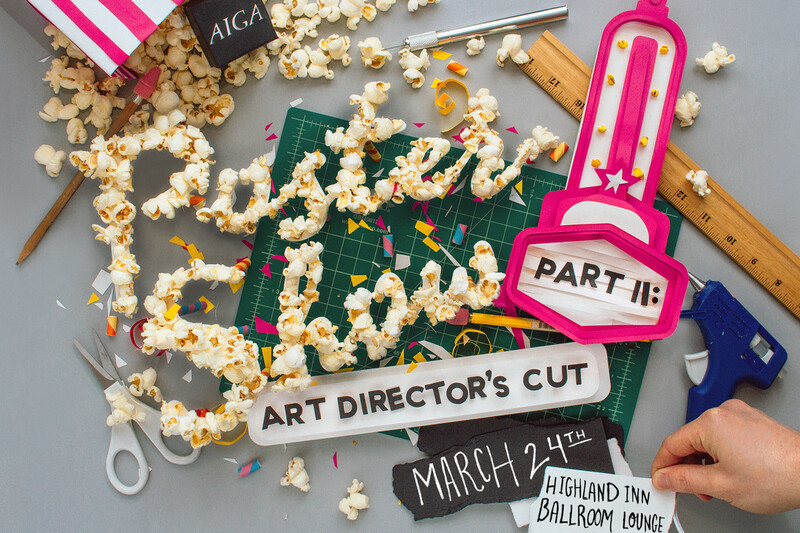 I created the call for entries and promotional artwork by hand out of paper and found objects. 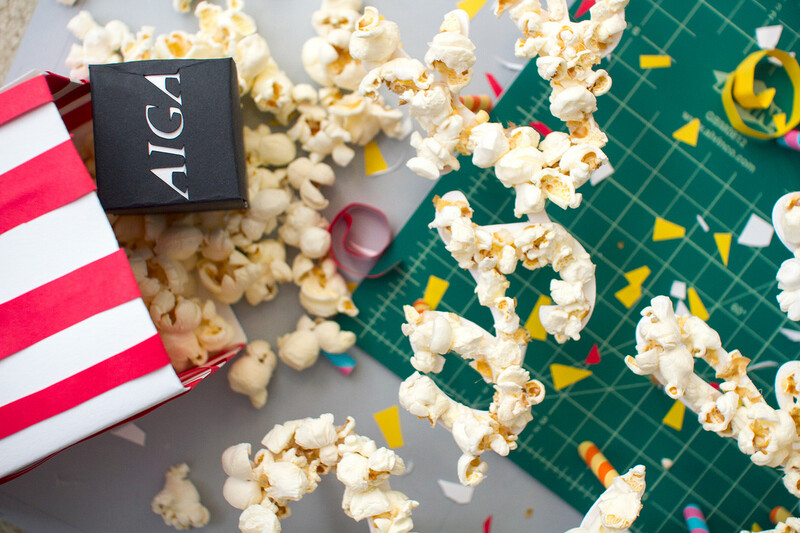 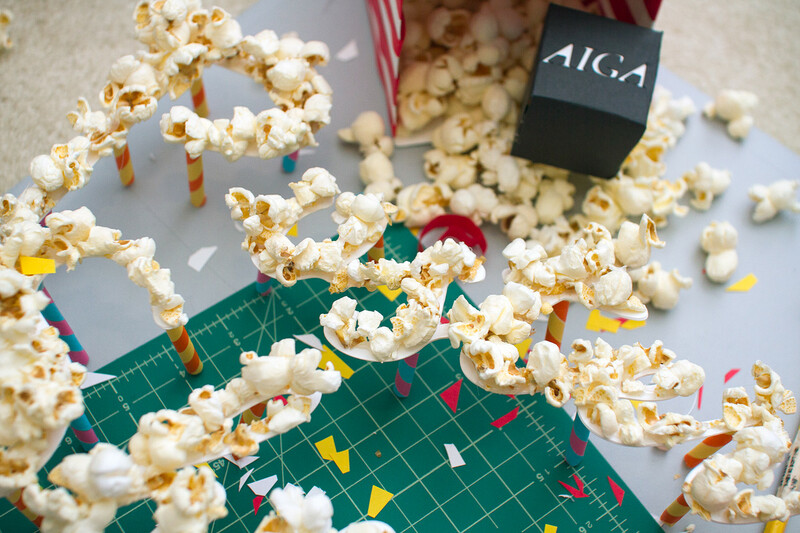 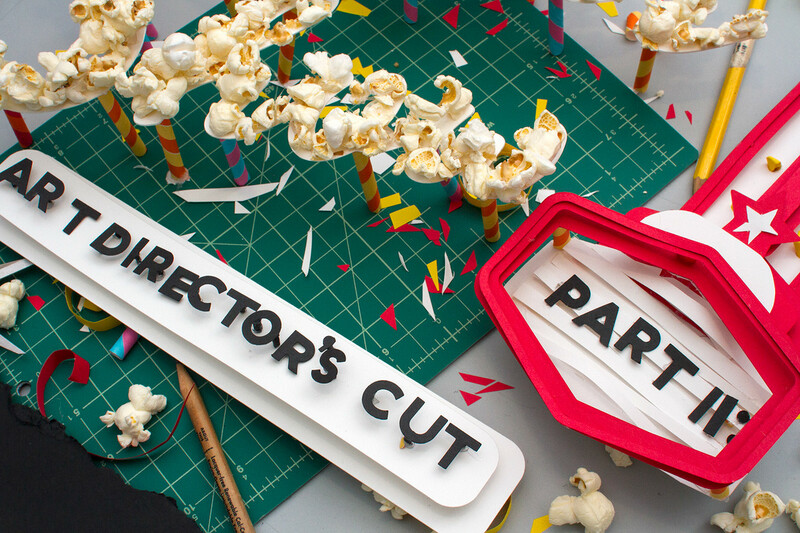 The title “Art Director’s Cut” is an obvious play on the film industry, but seemed like a good opportunity to explore paper cutout designs of theatre signs and marquees on a messy, artist’s desk backdrop – replete with a nod to the quintessential movie snack: popcorn, which I used to create three-dimensional lettering for the event’s main title. 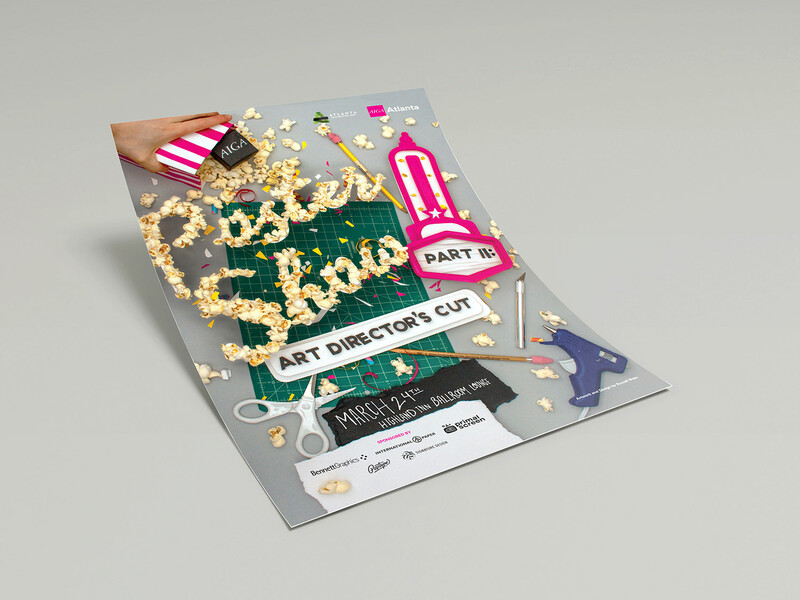 The entire piece was assembled in real life and photographed from above to create the final visual communication in portrait and landscape orientation.